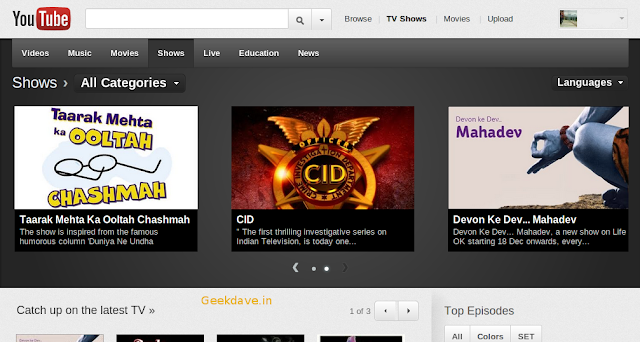 Home » youtube » Now you can Watch all New Episodes of your Favorite Tv Shows on YouTube ! Now you can Watch all New Episodes of your Favorite Tv Shows on YouTube ! it's a Good news for Tv Serial watchers and for The Followers of Tv shows. Yes , Now you can watch your favorite dramas , comedy shows , reality shows on YouTube.